Barrel Fire is The Gordon Grdina Trios' most brutally driving, raw, dynamic record to date. 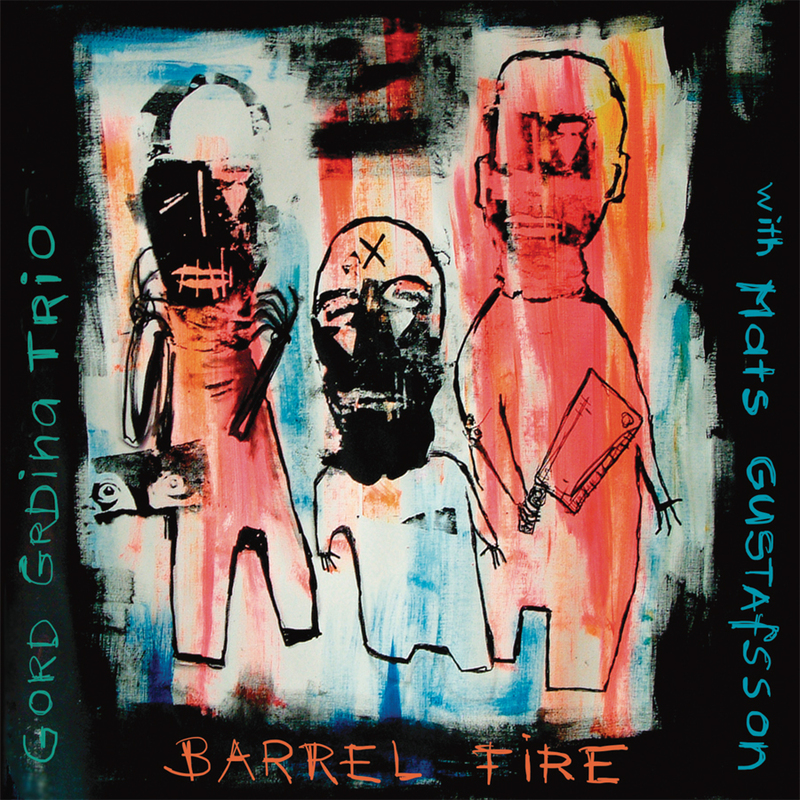 The collaboration between GG3 and Mats Gustafsson at the 2009 Vancouver International Jazz Festival was recorded and Barrel Fire is the first set from that night. There are few edits in order to retain the natural raw power of the original concert. The band expands and explodes through the melodic sketches with inherent interest in the raw dynamic energy of group improvisation. The group sounds at times like a freight train screaming down the tracks in the dark recesses of your city but as the Oud takes the fore ground we are reminded of the sensitive and delicate reflection in this darkness. There are moments of silence and individual exploration filled with the intensity of the search. The search to let go to what will become. The band owes as much of a debt to the energy of bands like The EX, and The Dead Kennedys as it does to the primal melodic sensibility of Albert Ayler and the sophistication of Ornette Coleman. This music is engaging and gripping, an onslaught. The Gord Grdina Trio is based out of Vancouver, BC and has been a working touring ensemble since 2005. The Trio consists of Gord Grdina (guitar, oud), Kenton Loewen (drums) and Tommy Babin (bass). They have collaborated with many of the worlds top improvisers such as Fredrik Ljungkvist, Eric Boeren, Wilbert De Joode, Michael Moore, Jerry Granelli, Michael Blake, Jeb Bishop, Kent Kessler, Mark Helias, Ingebrigt Haker- Flaten and Fred Longberg-Holm. They have toured throughout North America and Europe regularly since 2005. Gordon Grdina is a guitar/oud player that is constantly reinventing himself while retaining an individual voice. Aside from the GG3 he leads the East Van Strings, Haram, and Sangha. He also records and performs regularly with Dan Mangan and The Crackling. Kenton Loewen has been a seminal member of the Vancouver improvising and rock communities performing in such wide ranging groups as the anarchist punk band Submission Hold, art pop group Mother Mother, The Now Orchestra, Tanya Tagaq, and the Coat Cooke Trio. He is currently with Dan Mangan and is the leader/songwriter for The Crackling. Tommy Babin started his career in Montreal playing with Jorane, Thomas Hellman, and Les Projectionnistes before moving to Vancouver in 2005. He has played with great jazz and world musicians like Daniele DAgaro, Hamid Drake, Joel Miller, Ramachandra Borcar, and Paul Plimley. He currently leads Benzene, and Sendero Luminoso. Mats Gustafson was born 1964 in Umeå, Northern Sweden. He is a saxplayer, improviser and composer. Mats works as a solo artist and tours internationally with Peter Brötzmann, Sonic Youth, Merzbow, Jim O´Rourke, Barry Guy, Otomo Yoshihide, Yoshimi and in working groups The Thing, Sonore, FIRE!, Gush, Boots Brown, Swedish Azz and Nash Kontroll. Mats is a member of the Barry Guy New Orchestra, the Peter Brötzmann Chicago Tentet and the NU  ensemble. Mats has done over 1600 concerts and has appeared on at least 150 records in Europe, North America and Asia.